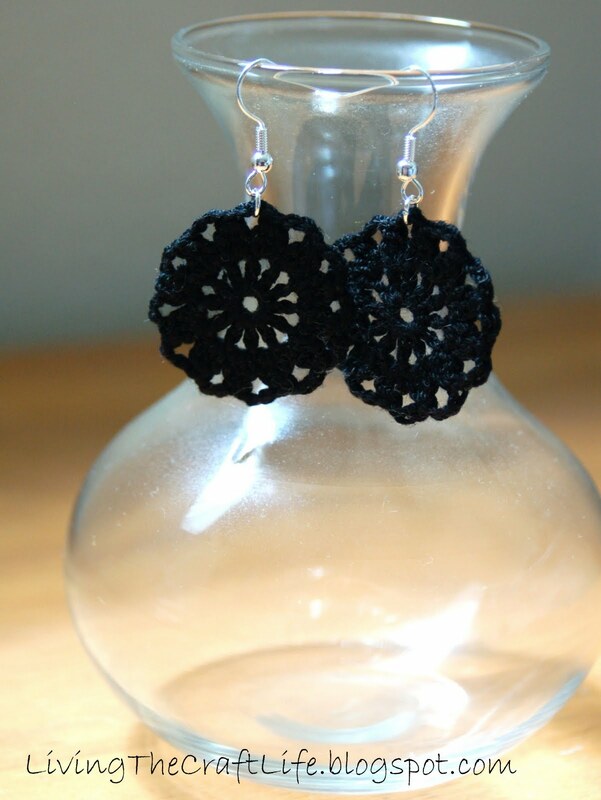 These simple round earrings are super stylish for the fashionista. They aren't obnoxiously huge, so these aren't statement earrings, but they add a soft touch to your outfit. It also helps that they're SO EASY to make! Rnd 2: ch 3, dc2tog in same space, ch 1 * dc3tog in next ch-1 sp, ch 3; repeat from * ten more times. Join with sl st to top of ch-3, sl st in next ch-3 space. did you made it harden using something to make as earrings? Yes, I painted the back of the crochet motif with a watered down glue to help it keep it's shape (1/2 water, 1/2 glue). Be sure to pin it down so it dries flat! Do you think spray starch will work? What kind of glue did you use? Was it like an Elmer's white glue. I corrected the pattern in round 2, in stead of ch1 after dc2tog, I did ch3 to follow the rest of the pattern. I realize this is an older post, but I was wondering, when you say dc2tog/dc3tog is this a written variation to the cluster stitches? Thank you so much! cute patterns may I suggest using a fabric stiffenifer that you buy at fabric store to form them.